Once a librarian at Willis Intermediate School in Delaware, Shirley Newell now volunteers at the Delaware County Historical Society’s Research Library, which is located in the Cryder Historical Center at 157 E. William St. Newell said she does a little of everything, but some of her fellow volunteers said she’s the local expert on the history of the Delaware County sewer system. 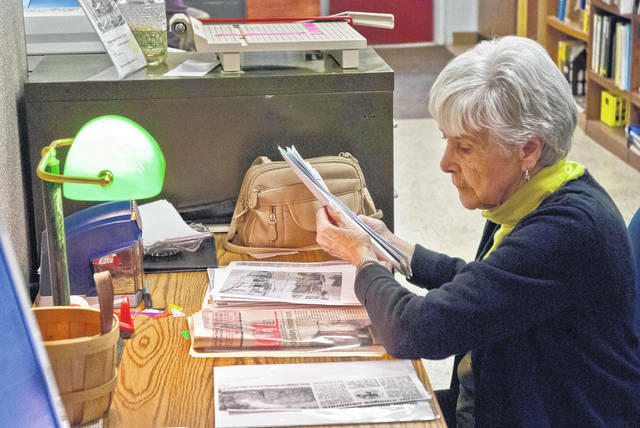 On Wednesday (Jan. 9), Newell was working on filing clippings into chronological order from The Sunbury News. Newell said she likes working at the Research Library, because she learns something new every day about Delaware County.